Assist your thirsty fans! 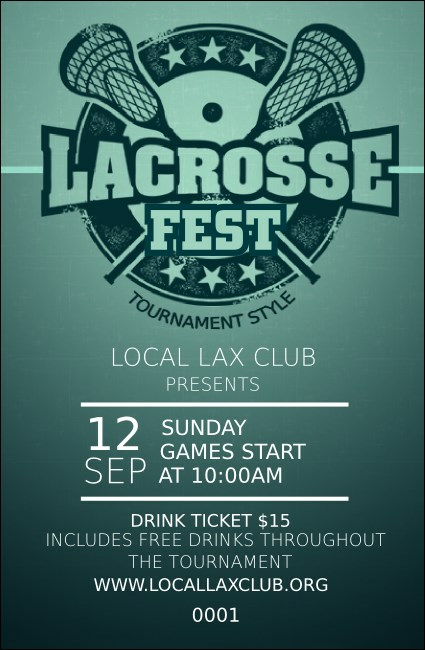 Hand out the Lacrosse Drink Ticket at your upcoming tournament. This sharp design features two sticks crossed on top, surrounded by stars and embellished with your event name. List thirteen lines of text on the template for all your event and drink details.